Pavel Pavlov’s work revolves around the creation of systematically articulated devices exploring the limits of visual representation; their sequential temporality (in production and reproduction) calls into question the temporal and optical illusionism of moving images. Many of his works propose animated topographical views of historical sites, thus reactualizing their specificities. Following upon "Projet pour un panorama fragmenté" (2008) and "Every Bit of Landscape" (2009)—part of his project Typologie du monument vide: l’Histoire entre le socle et le cadre—Pavlov is presenting "La silhouette de Montréal et le paysage en contre-champ (filmés depuis la Cité du Havre)", a new installation in which he revisits a founding event in the modernization of the city: Expo 67. A steadycam operator was given the mission of filming a pre-established script that visually transposed the phrase "Cité du Havre, a window on Montreal." The site’s inherently optical conception is thus subverted and transformed into a cinematic process. Normally referencing a subjective view of a figure in motion, the steadycam’s conventional use is here reversed: the cameraman traces the web of walkways once trodden by World Fair visitors—a mapping device still configuring a site which, after 40 years, has yet to see its real estate developments completed—and literally films the vanishing point of the script: Montreal’s silhouette. A second camera, synced with the first, simultaneously records the reverse shot. In the gallery, the two resulting video channels document the city’s current appearance, a singular space becoming an icon of modernity, and the counter-shot landscape, an empty monument exposing the contingencies of sociopolitical decisions and their lingering structural impact on urban space. True to his method, Pavlov proposes a new "optical machine" that replays the spectacle of the limits of visual representation in an infinite repetition, thus establishing an open space for thought. This project calls not only upon vision, but involves the spectator’s whole body as well, for the visitor is an active participant who must take it upon him or herself to explore and relate the presented fragments. The artist thanks Sophie Bélair-Clément, Vincent Bonin, David Manseau and Christopher Payne as well as René Lemire and Patrick Viallet of the École des arts visuels et médiatiques, UQÀM, Sylvain Cossette of PRIM (Montreal), and the technical support from Daimon (Gatineau), PRIM and Le Vidéographe (Montreal). The equipment is courtesy of the Leonard & Bina Ellen Art Gallery, Concordia University. Pavel Pavlov lives and works in Montreal. After studying economics in Paris, he earned a master’s in visual and media arts at UQAM; he is currently pursuing a doctorate in art history at Université Laval. Recent solo and group exhibitions include “Territoires urbains” (Musée d’art contemporain de Montréal, 2005, and Oakville Galleries, 2006), and participation in the Mois de la Photo à Montréal (SBC, 2009). A member of Perte de Signal since 2003, Nelly-Ève Rajotte pursues her sensory work in sound and video installations. Deconstructed natural and city landscapes unfold on an "electro-organic" musical backdrop. The soundtracks, shimmering reflections mirroring the structure of the moving images, leave their own visual traces. "ei", a new work inspired by the paintings of Edward Ruscha, is her purest expression to date, as she continues her investigations of the concepts of the double, of abandonment, and of disappearance in an immersive environment that sounds out the mythical spaces of the American desert. The artist thanks The Canada Council for the Arts and Perte de signal. "ei" is the focus of radio interviews on The In Situ show aired on CIBL and The Espace Visuel show (CINQ FM 102,3). After a first bachelor’s degree in art history, Nelly-Ève Rajotte went for a second in visual and media arts at UQAM, followed by a master’s in 2006. Besides a number of exhibitions in Quebec—at the SAT, Fonderie Darling, Parisian Laundry, Occurrence, Clark, and Oeil de Poisson, among several others—, her work has appeared in festivals throughout Europe, Russia, and Mexico. Click on the following link for more information on our annual call for projects. Please note we do not accept submissions for the «Résidence de recherche jeune création, Montréal - Valence (France)», as it is a combined residency and grant program. This year, art3 is sorting through French candidates who wish to travel to Quebec next Fall. Save the (next) date : March 1rst, 2012! Active on the Toronto art scene since the 1990s, John Marriott proposes a post-conceptual approach that allows for diverse and divergent messages and tones. The short interview that follows aims to better define his practice and influences, while introducing the present exhibition. Marie-Josée Lafortune : This first solo show in Montreal presents excerpts from a large body of works created between 1995 and 2011. Some pieces allude to the eclecticism generally associated with the 1980s, when notions of impurity and hybridity introduced a certain critical distance with modernism. Has this decade’s aesthetic had an influence on your perception of art? John Marriott : It certainly made a mark at that time. I remember the sense of absence of a dominant “ism” or master narrative which was eventually filled by Deconstructionism. The prominence of “non-art” materials in the 80s came alongside post-structuralism, psychoanalysis, institutional critique and appropriation, and those theoretical imperatives compelled me to create works that responded to the prevailing orthodoxies. But that is not why I am drawn to materials and sources that have cultural foot-prints beyond the artworld; their presences offer sociological and anthropological value that straddles the boundaries we presume between art and life. MJL : One cannot help but notice the wide array of mediums and supports showcased in the gallery. Could you comment on your use of appropriations and quotations? JM : I distinguish my approach by saying that I incorporate rather than appropriate. I work with identifiable objects because they bring traces of the world with them which I work with. While I incorporate objects that are recognizable or iconic, I position them as referents and triggers; I’m interested in evoking and manipulating associations. JM : The mechanisms of staging and reflexive awareness do interest me, I do explore those dynamics and appreciate the drama of culture-making. I want to be transported and I want my art to offer layers of experience – including but not limited to self-reflexivity. I don’t consider my efforts to be Readymades though. While I do engage that legacy in some works, I don’t wish to cancel the significance that objects have independent of art, I want to work with those tones. MJL : “White Diffuser” (2006-2010) is suspended at OPTICA’s reception, between the gallery space and our personnel’s offices. This revelation of what is usually hidden to the public is reminiscent of a strategy you used at The Power Plant in 1996, showing pictures of the curator’s office. Could this be understood as a consistent attempt to challenge conventions and perceptual habits? JM : Disorientation is as revealing to me as critical awareness is. I prefer art that offers a tingling in the back of the neck rather than a declaration, so my works do test the edges of conventions and habits. The photos of the curator’s office, his desk, his empty coat-rack, were a way of dramatizing the edifice of aesthetic administration while alluding to entanglements. Similar ideas occur with “Critical Tragedy” (1996), where a lecturer has spontaneously combusted prior to his speech, or “Smile Door” (1999), where in order to enter the gallery viewers had to step through a large smiling mouth with big teeth. MJL : Although this exhibition is not quite a retrospective, you are (re)actualizing past artworks by suggesting a circuit especially tailored to the gallery space, all the while subverting its functionality. You act both as artist and curator; how do you approach these two combined functions? Could it be defined as an additional ‘mise en abyme’? JM : This invitation to articulate a quasi-survey of my work has been a welcome challenge. I was not interested in presenting a thesis but certain interests have resurfaced over time. It is a challenge to choose which ones to include and how to allow space for the individual pieces to breathe while suggesting a conversation or collective sensibility. Is this ‘mise en abyme’? Perhaps, but it is also a mingling of works that ultimately pursue their own determinations. The artist thanks the Canada Council for the Arts, the Ontario Arts Council, Patricia Steckley, Jerry Drozdowski, Randall Sherwood, the atelier Clark, Marc Dulude, and the OPTICA staff. John Marriott is the subject of a newly published article by R.M. Vaughan, John Marriott mashes cultural tropes in Montreal (The Globe and Mail, March 4th, 2011). The text is reproduced on Bryon Gysin's official website; his piece Dreamachine (1960) inspired Marriott's Dream a little dream, exhibited at OPTICA. "The sum of some" is briefly mentioned and recommended in Canadian Art's current "A national and international roundup of the season's best exhibitions / Agenda Quebec" section (Spring 2011, p. 29.). John Marriott is a multidisciplinary artist and writer based in Toronto. Beyond his participation in numerous exhibitions on Canadian, American and European soil, he has taken part in various international video and performance festivals. He also has organized and curated exhibitions in the past. 2010-2011 sees the Toronto group Team Macho returning to the contemporary art scene. After two years working solo, Nicholas Aoki, G. Stephen Appleby-Barr, Christopher Buchan, Lauchie Reid, and Jacob Whibley (who have shared the same studio the last six years) are proposing a playful, subversive body of work : their illustrations, paintings, and collages draw on popular iconography to form a bustling web of eclectic story lines. Geneviève Bédard : It seems Team Macho cultivates a form of friendly competition, a group dynamic that nourishes a unique creative approach marked by a keen sense of visual repartee. How would you characterize your collective’s process? Team Macho : When Team Macho was formed, we felt ambivalent towards the classic idea of the artist as a singular voice or point of view; it didn't reflect our learning environment and methods. After a lot of swapping of ideas and prodding each other, what started out as outright sabotage and subversion—an effort to keep us on our collective toes and avoid the trap of single, ego-driven expression—has evolved into a process that allows us all to challenge and play, but also to bring skills and perspectives that have been culled from our individual explorations of media and thematic content. GB : You now have a fairly recognizable and effective “brand signature”. How did it progress over the years? TM : Developing a consistent narrative has been a challenge. Working in a very idiomatic way, we've set up a practice which at once alleviates many concerns faced by solo artists and complicates matters by engaging five creative minds. The key to our success so far seems to be our inexhaustible drive to make things exploratory, experimental and exciting for us and for people who follow our work. GB : This exhibition counts a whopping 140 pieces, mingling new and past works, including numerous loans from collectors. How and why did you make that selection? TM : It is reflective of our tendency to put our heads down and not come up for air for years at a time, producing a lot of work. We've developed an amazing following of collectors who are familiar with our output and have an instinctual sense of when something is special to us. We don't see the work as being old or new or better or worse; pieces will be hung out of sequence, creating a holistic idea of our world. This exhibit aims to allow both viewers and ourselves a chance to draw conclusions about the practice as a whole, to establish a better understanding of our narrative and motives. The artists thank their gracious collectors and Narwhal Art Projects. Team Macho is the subject of a newly published article by Nicolas Mavrikakis, Kent Monkman et Team Macho / Identité sexuelle (Voir, March 31rst, 2011). "3 out of 5 ain't bad" is briefly mentioned and recommended in Canadian Art's current "A national and international roundup of the season's best exhibitions / Agenda Quebec" section (Spring 2011, p. 29.). This spring, OPTICA begins a series of exhibitions dealing with the gallery’s history by broaching the culture of artist groups and art centres. 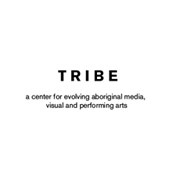 This project, curated by Lori Blondeau, will present a selection of archival documents (videos and photographs) relating the history of TRIBE, A Centre for Evolving Aboriginal Media, Visual and Performing Arts, as well as a performance by Cecile Brass. Since its inception, the artist collective has publicly raised highly relevant questions of identity, territory, and politics regarding the status of native peoples and First Nations’ place in our history. Dana Claxton, "Buffalo Bone China", 1997. This performance/installation – whose title refers to the historical use of buffalo bones to make fine china – is centered around an experimental video metaphorically recalling British colonial practices that resulted in the decimation of the buffalo, and the devastating effects it had upon First Nations people who relied heavily on the animal for their survival. «Buffalo Bone China» was the first in a series of ongoing projects that explore time from a First Nations’ perspective, among other things. "High Tech Storytellers : An Interdisciplinary Arts Festival", 2000. Including residencies, panel discussions, installations, performances, and cabaret, the festival – hosted by Tribe in Saskatoon from May 22nd to May 27th, 2000 – explored the central theme of contemporary artists who use storytelling with technology as a creative medium. Invited artists included Rebecca Belmore, James Luna, Edward Poitras, Lori Wiedenhammer, and three Saskatchewan-based artists Cheli Nighttraveller, Carolyn Mieli and Steve Heimbecker. The documents presented recall Belmore’s “The Indian Factory” and Luna’s “The Chapel of Sacred Colors”. Guillermo Gómez-Peña & James Luna, "La Nostalgia Remix", 2010. This is the latest installment in the “The Shame-man meets El Mexican't” series, an ongoing project (since in early 1990s) in which the artists – using performance, writing, photography and video – consistently challenge assumptions and lazy thinking about ethnicity and culture. “La Nostalgia Remix”, launched in 2007, is a series of live performances using nostalgia as a style, a form of resistance and reinvention, exploring its symbolic and iconographic dimensions both on the Native American “rez” and in the Chicano “barrio”. Due to unfortunate circumstances beyond our control, this piece is not showcased in the gallery. Thank you for your understanding. Cecile Brass, "The Re-Birthing Project", 2009/2011. Live performance on Saturday, May 7th at 4:30pm. All are welcome! Tribe gratefully acknowledges the support of The Canada Council for the Arts, The Saskatchewan Arts Board, SaskCulture and SaskLotteries. Curator Lori Blondeau, a performance artist based in Saskatoon, is a member of George Gordon First Nation. She teaches art history at the University of Saskatchewan, where she is also a PhD candidate. Her work – currently focusing on memory and home, displacement and (de)colonization – has been exhibited worldwide. In 1994, Blondeau co-founded (with Bradlee LaRocque) TRIBE, A Centre for Evolving Aboriginal Media, Visual and Performing Arts. As an artist-run-centre focused on the presentation of contemporary Aboriginal art in a variety of institutional and public spaces, it orients its projects and programing to address social and political issues that are of concern to national and international First Nations artists, curators and critics, all the while providing the local community with various lectures and workshops. Born in Upsala, Ontario, Rebecca Belmore is an Anishinaabe (Ojibwa) artist currently living in Vancouver. She attended the Ontario College of Art and Design in Toronto. Since 1987, her multidisciplinary work has addressed history, place and identity through the media of sculpture, video, installation, and performance. Belmore’s work has appeared in numerous group and solo exhibitions, both nationally and internationally; she was Canada’s official representative at the 2005 Venice Biennale. Cecile Brass is a member of the Peepeekisis First Nation residing in Regina. Her involvement in the arts began with the theatre troupe Red Tattoo Ensemble and dancing in international pow-wows as part of a dance company. After many stays in Europe, Brass lived in Taiwan for 5 years, where she became passionate about the universal Indigenous experience and the effects of colonization, an interest that has led her to study Political Science at the University of Regina. She gave her first performance art piece, “The Re-Birthing Project”, at the Sâkêwêwak Storytellers Festival in 2009. Dana Claxton is of Hunkpapa Lakota Sioux ancestry and her family reserve is Wood Mountain, in Southwest Saskatchewan. She is an interdisciplinary artist who works in film, video, photography, single and multi channel installation and performance art. Investigating beauty, the body, the socio-political and the spiritual, her work is held in public collections and has been shown/screened internationally. Among her numerous academic engagements, Claxton most recently held the Ruth Wynn Woodward Endowed Chair in Women’s Studies at Simon Fraser University (2009/10). James Luna (Puyukitchum/Luiseño) resides on the La Jolla Indian Reservation in San Diego County, California. He received a BFA from UC Irvine and a MS in counseling from San Diego State University. In addition to working as a full-time academic counselor at Palomar College and teaching art part-time at UC San Diego, he has an installation/performance and conceptual art practice that spans over 30 years. Employing a variety of media such as made and found objects, costumes, music, video, and slides, he creates environments that function as both aesthetic and political statements. A womb reconstructed on a large scale provides the foundation for a retelling of a personal narrative about the artist, the birth of her three sons, her culture, her family and her community. The work incorporates theatrical and audio art elements into the creation of a performance that, on the surface, tells the story of the birth of a child, but touches upon universal and shared experiences within our communities. Cecile Brass is a member the Peepeekisis First Nation residing in Regina. Her involvement in the arts began by performing with the theatre troupe Red Tattoo Ensemble and dancing in international pow-wows as part of a dance company. After many stays in Europe, Brass lived in Taiwan for 5 years, where she became passionate about the universal Indigenous experience and the effects of colonization, an interest that has led her to study Political Science at the University of Regina. She gave her first performance art piece, “The Re-Birthing Project”, at the Sâkêwêwak Storytellers Festival in 2009. Le Mois de la Photo à Montréal, in collaboration with Optica, a centre for contemporary art, present the exhibition My Glance Is Clear Like a Sunflower by Raymonde April. Lucidity. Inward Views is the theme proposed by Anne-Marie Ninacs for the 12th presentation of Le Mois de la Photo à Montréal, which will be held from September 8 to October 9, 2011. For the occasion, 25 solo exhibitions will be spread throughout Montreal transforming the city into a vast and coherent group show. Raymonde April has been recognized since the late 1970s for her photographic practice, inspired by her private life, which she skillfully balances at the confluence of documentary, autobiography, and fiction. An insatiable lover of people, landscapes, stories, objects, and other apparently ordinary things that form identity, she constantly returns to the same sites, and the same subjects, in order to understand her own inner life. For more than fifteen years, this work has also led her to regularly reinterpret her own photographic archives. And this is what she has done here, upon the request of Le Mois de la Photo à Montréal, by examining these archives in the light of the notion of self-representation. The resulting composite self-portrait is made of a number of previously unseen prints and brand-new images. Guided tour by Raymonde April on Saturday, October 1st at 2pm (in French only). Free activity organised for the Journées de la culture. The artist wishes to thank her models/subjects, family and friends, her collaborators Andreas Rutkauskas, Clare Samuel, Noémie Da Silva, Martin Schop, as well as curator Anne-Marie Ninacs and Le Mois de la photo à Montréal. This exhibition was made possible with the support of the Office of the Vice-President, Research and Graduate Studies at Concordia University's Faculty of Fine Arts, and Hexagram, Institute for Research/Creation in Media Arts and Technologies. Raymonde April's work is mentioned in two published articles by Jerôme Delgado (Mois de la Photo 2011 - Regards introspectifs et prise de conscience collective, Le Devoir, 25 août 2011 and Mois de la Photo à Montréal 2011 - Chercheurs de lucidité, Le Devoir, September 3rd, 2011), as well as on Jörg Colberg's blog (Le Mois de la Photo à Montréal 2011 (part 2), Conscientious, October 5th, 2011). She is also briefly acknowledged in Nightlife (Le Mois de la photo à Montréal: 4 tendances lourdes, September 19th, 2011) and Canadian Art (Mois de la Photo: Into the Deeps). My Glance Is Clear Like a Sunflower constitutes one of four exhibitions recommended by Nicolas Mavrikakis in Mois de la Photo 2011 : L'image ouverte? (Voir, September 15th, 2011) and is one of Damien Fière's three major favorites ("coup de coeur majeur" : Le «moi» de la photo, regardemontreal, September 22nd, 2011). « Inward Bound : Le mois de la Photo Opens 12th Edition », Newsfront, Canadian Art, vol.28, no.3, Fall/ Sept. 2011, p.26. « Le Mois de la Photo à Montréal », Photo Solution, vol.4, no.5, September 2011, p.10. Mathilde Roy, « Lentille lucide », Magazine Cinéplex, vol.10, no. 8, September 2011, p.11. Katrie Chagnon, « Le Mois de la Photo, Divers lieu, 8 septembre – 9 octobre 2011 », Art Press, no.383, November 2012, p.24. René Viau, « Lucidité. Vues de l’intérieur / Lucidity. Inward Views », Ciel Variable, no.90, p. 60-65. James D. Cambell, Le Mois de la Photo – Various venues, Montreal, Canada, Frieze, no.145, March 2012, p.164. Jonas Cuenin, Raymonde April, La lettre de la photographie, September 8th 2011. Beverly Akerman, April’s Mois de la Photo, Concordia community, 21 September 2011. Elena Potter, Le Mois de la Photo à Montréal , Magenta Magazine Online, (Toronto), vol.2, no. 4, fall 2011. Marek Grygiel, Le Mois de la Photo à Montréal, Fototapeta (Varsovie, Pologne), January 2012. Geneviève Breuleux, « Entrevue avec Anne-Marie Ninacs », pour l’émission In Situ, CIBL Radio-Montréal 101,5 FM, September 18th 2011. Raymonde April was born in 1953 in Moncton, New Brunswick. She lives and works in Montreal. She has gained a large following in Canadian photography circles. Her work has been shown widely in Canada and Europe and she has had major solo exhibitions, including at the Musée d’art contemporain de Montréal (1986), the Musée d’art de Joliette (1997), and the Leonard & Bina Ellen Art Gallery (2001). In 2010, Équivalences was presented jointly at the Occurrence, Les Territoires, and Donald Browne galleries in Montreal. April has received the Prix Paul-Émile Borduas (2003), the Paul de Hueck and Norman Walford Career Achievement Award for Art Photography (2005), and the Order of Canada (2010). She is represented by Donald Browne Gallery in Montreal. Laurent Pernel (Lyon) deploys his work in public space like a perpetual construction site: his polymorphic pieces—tiny devices of his own making, monumental constructions, burlesque athletic actions—interact with the urban landscape, subverting its meaning and perception. Once an architecture student, the artist declares that he has been “liberated from the overly rigorous technical constraints of construction by working with simple materials.” Based on contextual observations of the host location—the particularities and formal or historical incongruities of each urban area—, he attempts to bring disparate elements into a consistent reading, which he interconnects with other spaces or with his personal background. In collaboration with art3 (Valence, France), OPTICA is proud to welcome Laurent Pernel in Montreal from October 1rst to December 31rst, 2011! In this public presentation, the artist focused on the research and video work he did in Montreal; he also unveiled three bookets that were entirely produced during his stay. Please note this event was combined with the launch of the publication Résidence de recherche jeune création : Anne-Lise Seusse, Olivia Boudreau, a copiously illustrated diary (co)produced with art3 (Valence) that benefited from the support of the Ministère des Relations internationales du Québec, Région Rhône-Alpes, and the French Consulate in Quebec City. Suzy Lake, Une simulation authentique de... no 2 | A Genuine Simulation of... no. 2, 1974. Maquillage sur photographie noir et blanc. | Make-up on black-and-white photograph. Musée des beaux-arts de Montréal. Achat, collection Saidye et Samuel Bronfman d’art canadien. | Purchase, Saidye and Samuel Bronfman Collection of Canadian Art. With arts degrees from the universities of McGill and Concordia, Sorel Cohen has had many solo exhibitions, in particular at the Musée d’art contemporain de Montréal (1986) and Ateliers Nadar, in Marseille (1994). 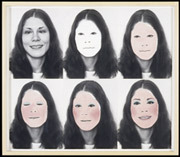 She has taken part in group shows in Canada and abroad, mainly in Cologne, New York, and Mexico. Her work was shown on several occasions at OPTICA—eight times between 1978 and 2000—where she has also been a board member. Cohen is represented by Galerie Donald Browne, Montreal.